Workshop for 3rd and 5th year was held by the company Amazing Brains in September. Third year participated in the 'Drive for Results’ programme which provides the foundations for students to succeed in their first formal state exams. Through practical, meaningful and relevant activities, students discover the merits of active learning, the importance of perseverance and the role of a 'can do' attitude. Students develop the study techniques and strategies essential for success. 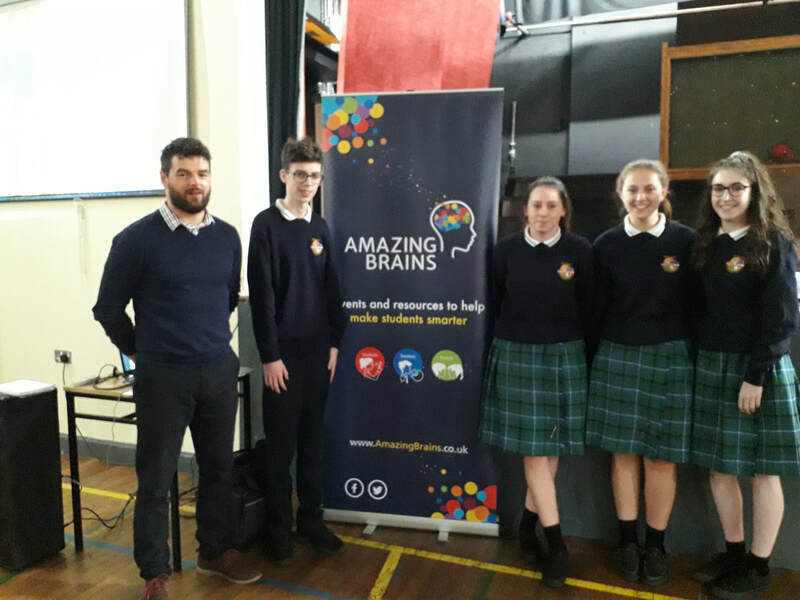 5th years participated in the Mastermind programme which presents many different challenges and opportunities. Students are expected to think and act more independently, be more self-disciplined, mature and responsible. At this stage students ultimately really begin to take responsibility for and control of their own learning.